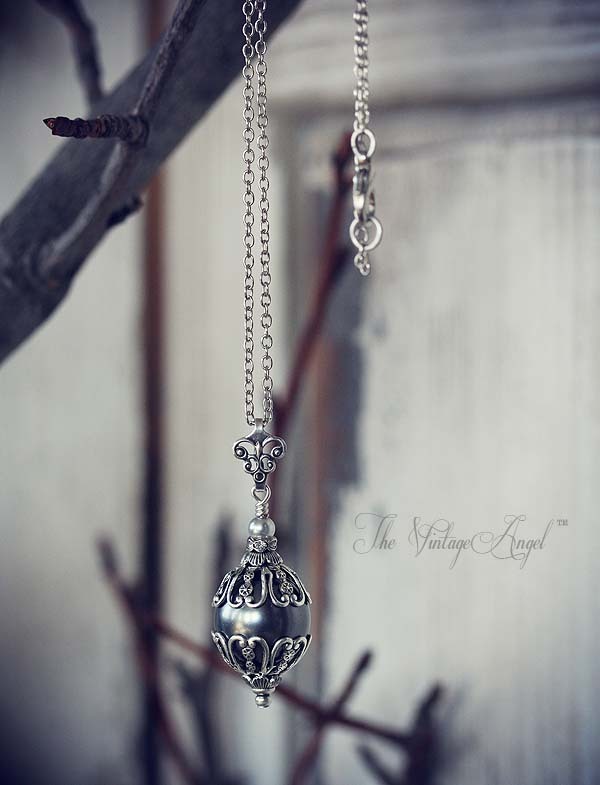 Simple, elegant and rich with vintage charm. 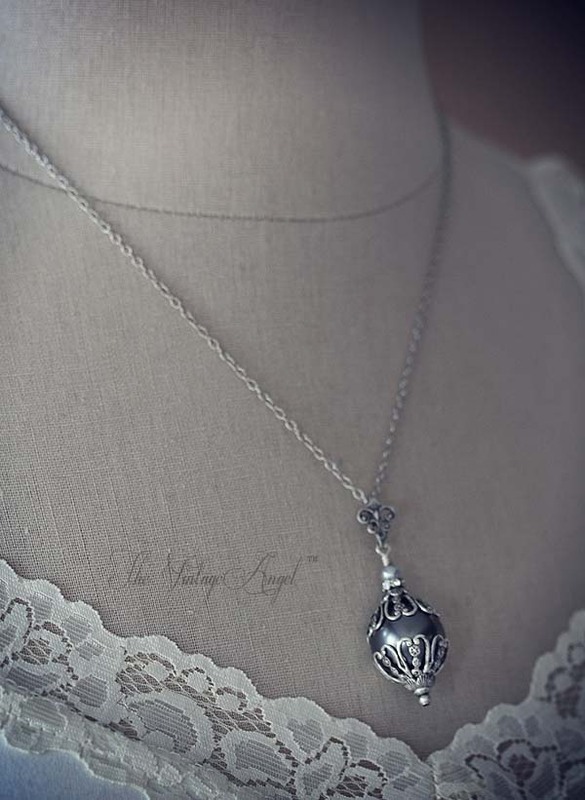 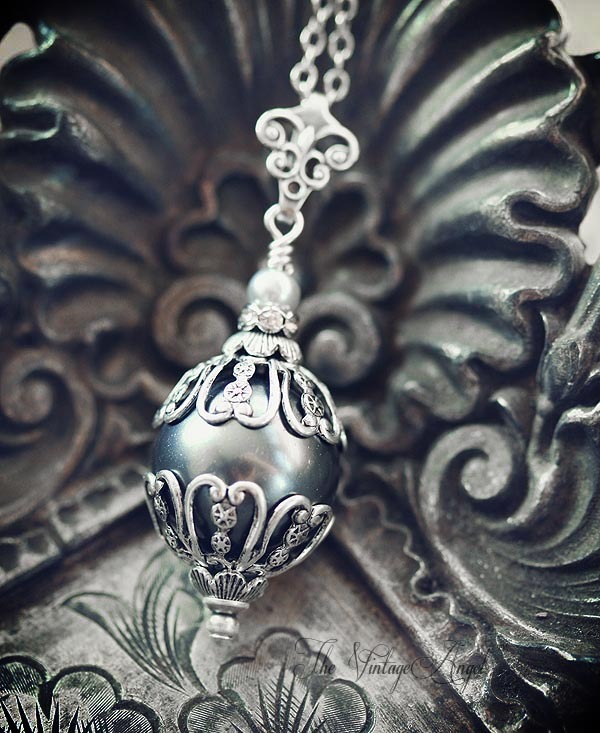 An extra large, 14mm round Swarovski pearl in dark charcoal grey is suspended with ornate aged silver filigree bead caps, a rhinestone ronelle and a tiny light grey pearl accent from a delicate Victorian style bail then hung on dainty antique silver tone chain at 18" long. 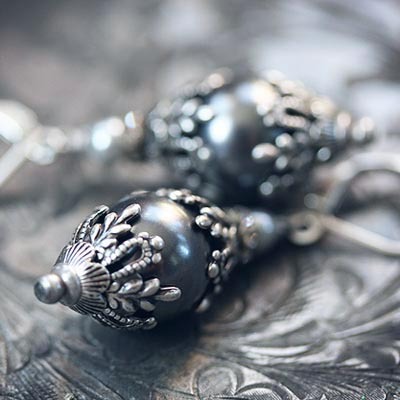 Metal components are American-made brass, with a high quality sterling silver plating.